Rest. That’s a word we haven’t heard in a while! Everyone on the team has been working so hard to get everything together for this Unfiltered Conference. I’m so grateful to everyone who came out and all the speakers who shared their stories and wisdom with the audience. And now, I think more than anything we all need some good rest. It’s such an interesting feeling when something you’ve been working so hard for is over. 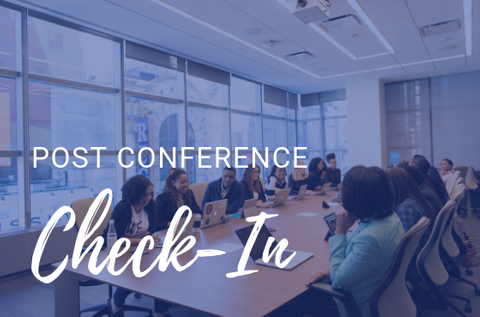 We put so much work into the Unfiltered Conference, and even though the fruit of our labor come to fruition, it still feels like there’s more work to do. But I guess it might always feel like that. When you’re fighting for change, is the work ever really done? And that makes me want to jump up and get back to work, you know?! It makes me want to start the next project, push through the tired, to keep going. But it’s important to rest. I know we all left the conference feeling like we could conquer the world, but it’s also important to recharge the batteries a little bit! The team has a lot going on in the next couple of months, but it’s so easy to get run-down. And I feel like that has a lot to do, ironically, about being women. We’re so used to being caregivers for our family, emotional caregivers in our personal relationships, and even feeling like we need to work harder than our male counterparts at our jobs. As women, we “go go go” until we’re so burnt out that the only option we have is to rest. So I’m going to take time out of my day today to just be. Be thankful, be present, be okay with not moving for even just a minute! But I will never forget the stories I heard or the experiences we shared together. I can just feel it: the change we made. And I’ll carry that energy with me into the months to come, and let it motivate me to do and be better.